Kyndra Bailey inherits Faircliffe Plantation and is caught in an intricate web of secrets and deception when her brother disappears and her uncle spends her inheritance. With the loss of Faircliffe looming, Kyndra is forced to ask for help from handsome and mysterious Tyler Andrews. From antebellum Richmond to the Santa Fe Trail, Kyndra and Tyler are entangled in danger, adventure, and passion as they search for Kyndra’s brother and a fortune in gold, silver, and jewels. Knowing that Tyler must return to Texas and Kyndra will return to her beloved Faircliffe, their love seems doomed from the start. Yet as the clues draw them ever deeper into the mystery of Beale’s Treasure, their passion cannot be denied. The treasure may be lost forever but will Kyndra and Tyler be lost to each other forever or is their love strong enough to keep them together? Women have all sorts of excuses for not learning to defend themselves. Among them are not having enough time, not being in good shape physically, having various medical conditions, not wanting to learn martial arts, and the worst of all-IT CAN'T HAPPEN TO ME. This book includes statistics that show how easily violence can and does happen and it also teaches awareness in order to prevent violence. Sometimes people become victims of violent acts no matter how careful or aware of potential danger they may be. In cases like this, self-defense survival strategies can save a life. 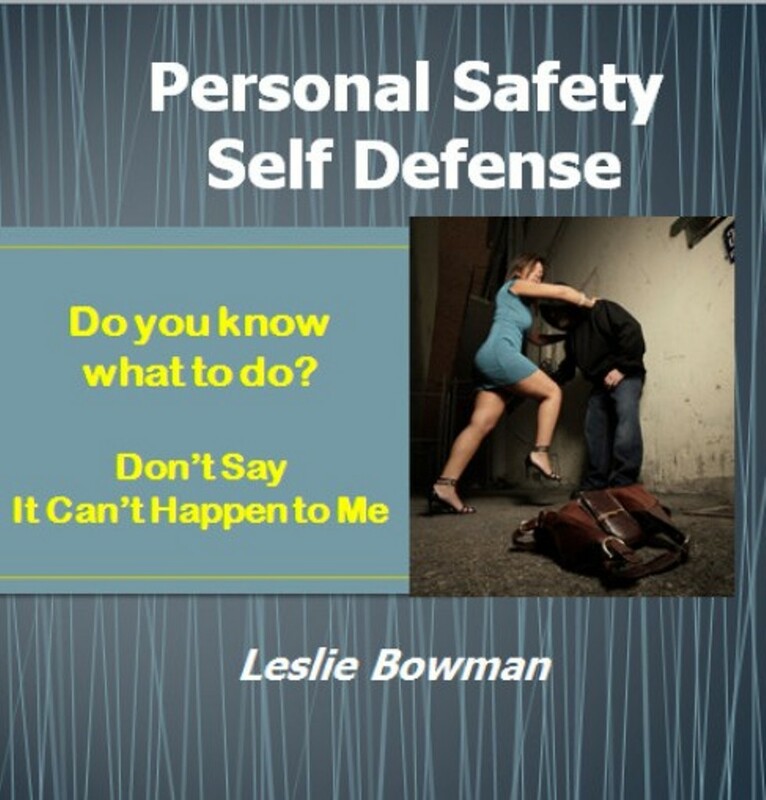 The prevention strategies and self-defense survival techniques in this book are suitable for women and children of all ages. With education and awareness, you can increase your self-confidence and learn to prevent and avoid potential violent attacks. 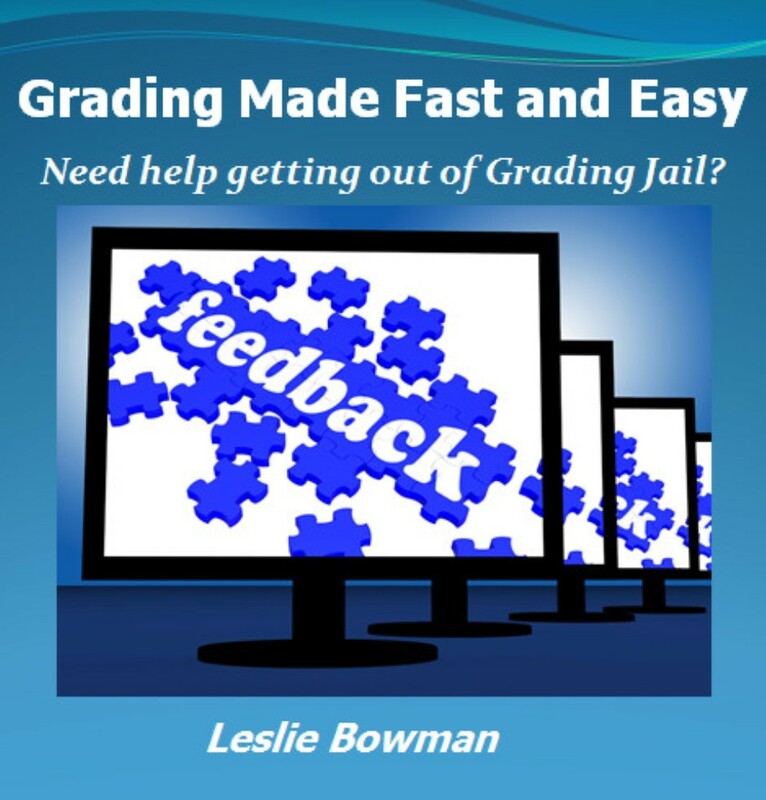 Do you spend too much time in “grading jail” every week? Do you sometimes find that it’s just too time-consuming to write substantive comments on students’ papers? Do you wish that students would read and apply the feedback you take so much time to provide each week? Does the thought of grading 50 or more essays make you cringe? Do you dread due dates? Does your school require 24-36 hour grading turnaround? If you said “yes” to any of these questions, then this book is for you. With this grading system, you can significantly decrease your weekly grading time. No more grading jail for you! This second edition includes additional copies of rubrics, checklists, sample graded papers, and more. 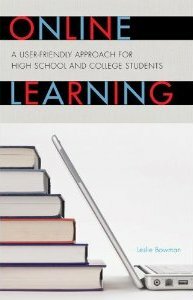 This book has strategies and tips that every online professor wants students to know before they sign up for an online class. Bowman has provided a reference tool for students to develop self-directed learning skills that will help them become secure and knowledgeable about technology, studying, communicating online, and getting work done on time. 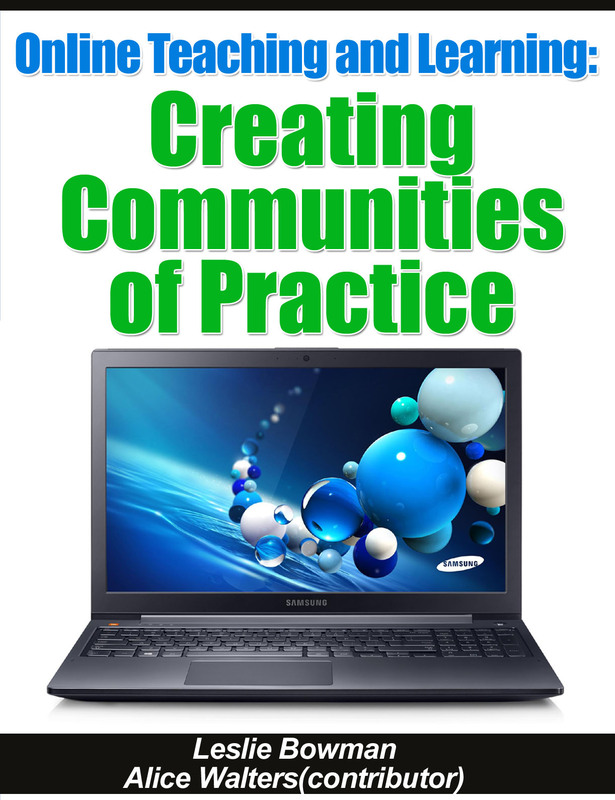 A Community of Practice is a buzzword for business that has moved into the educational arena. We use a variation of COP designed specifically for academic courses. Our communication design is called Share/Practice/Review or SPR. In a pedagogical shift from traditional online discussions, SPRs create a culture of interest, inquiry, risk-taking, and problem solving through knowledge deficit diagnosis, targeted content seeding, and formative assessment. SPRs promote peer mentoring in a collaborative context. The SPR inspires and supports sharing challenges, problem solving, and risk-taking in developing new skills. Unlike weekly online discussions that center around a finite unit of study, with prescribed postings and responses, and a specific time limit, the SPR reinforces ongoing dialogue in a collaborative atmosphere in which students explore and brainstorm solutions to learning challenges. With the recent trend in schools' cutting classes for adjunct faculty, adjuncts are resorting to teaching fewer classes at each of more schools. Gone are the days when we could teach at just one or two schools and have enough classes to make a decent income. Some adjuncts are teaching for fifteen or more schools while continuing to apply to new schools so there are enough classes in reserve when classes are inexplicably cut from their course load. Scheduling can be a nightmare and mistakes can mean losing classes. Managing workload, large classes, and multiple school schedules is vital to preserving an adequate course load and maintaining financial security. 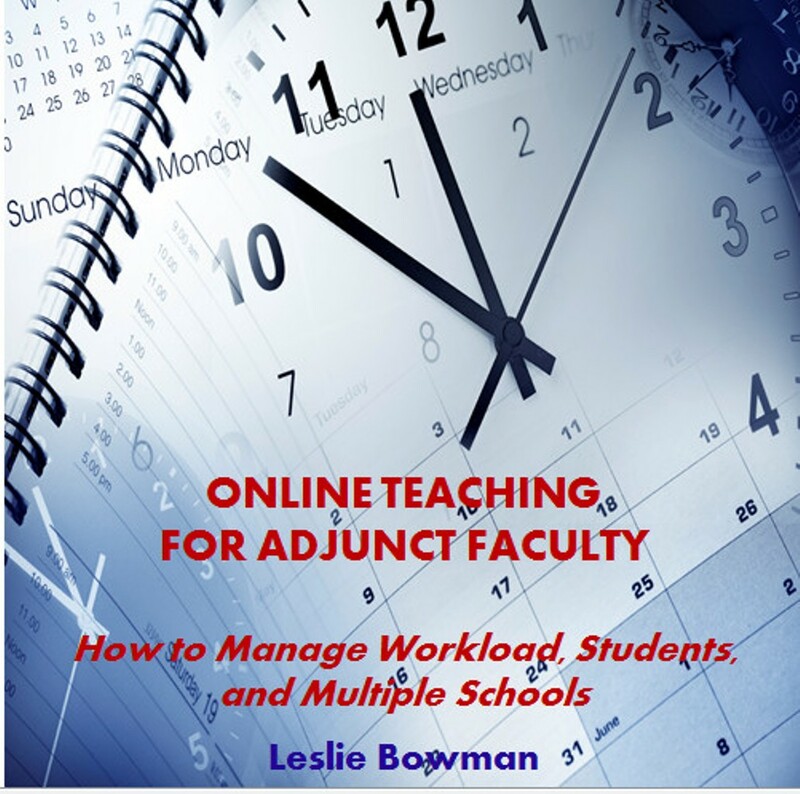 There really is no choice for most adjuncts and teaching ten or more online classes requires new strategies to manage workload so that each class takes no more than 2-4 hours a week. This guide provides online faculty with strategies and tips to streamline workload and manage large classes, with a chapter addressing the unique challenges in managing classes and schedules at multiple schools. This book was written by my late mother and I have now made this available on Kindle. I thoroughly enjoyed this book! It is a must have and a must read for all who want to refinish or restore furniture! It has clear and precise directions as well as guidelines anyone can use. 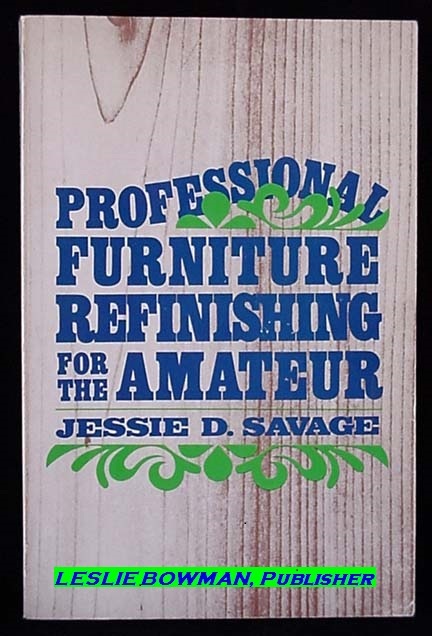 If you have ever thought about refinishing or restoring furniture this is a must have book! With rising prices and often shoddy work on new furniture, many people are buying old, well-made furniture, whether antique or not, and getting it back into excellent condition. You end up with sturdier and more beautifully crafted furniture. This book fills a real need for those who work with furniture and serves as a model for how-to books in its clarity, simplicity, specific instruction, and readability. Mrs. Savage had a refinishing shop of her own, and refinished many pieces of furniture. She discovered the best products and the simplest, most effective methods to use. Her delight in the subject and refreshing sense of humor make the writing and presentation of this book not only informational, but also entertaining. This book is divided into four parts. The first gives the basics of refinishing and discusses different types of wood and the finishes that can be used. Part II gives simple step-by-step instructions, from stripping wood to the final finishes, and also tells about restoring (when the complete refinishing process is unnecessary). Part III talks about where to get good pieces at reasonable prices, signs of authenticity, signs of fakery, and auctions. Part IV is about establishing your own shop in case you want to make refinishing a satisfying and well-paying hobby or a part-time or full-time job. Leanna Taylor has to leave St. Louis, where she grew up, to Texas , where she's never been, after the deaths of her grandparents, when her long lost father exerts his guardianship for six months, until she reaches the age of 18, and she can inherit her grandparents' estate. Horse thief, Army scout, or rancher? Rafe Dunbar, while delivering Palominos to a new owner, is captured by Hank Taylor and wrongly accused of stealing the horses, then taken to the Taylor ranch where Taylor plans to mete out his own brand of justice. Leanna helps Rafe escape torture and death at Taylor's hands and they begin a long journey on the run from Taylor, who is bent on revenge for reasons far beyond simple horse thievery. 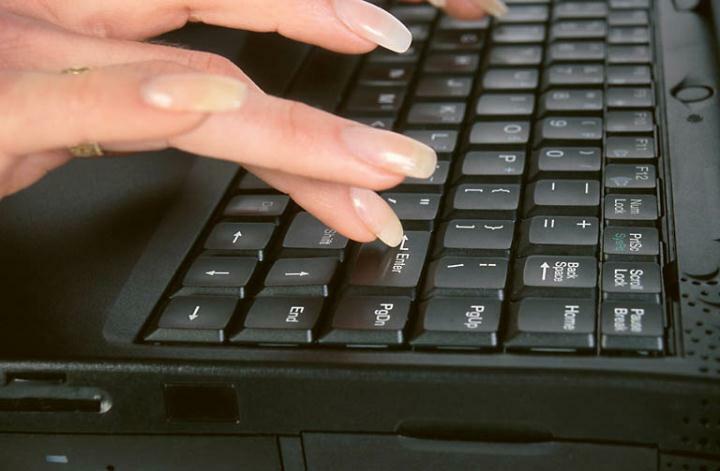 I have been using macros for grading and navigating websites and logins for over 15 years. This mini-manual provides step-by-step procedures for creating ShortKeys, HotKeys, text, logins, and web URLs in Macro Express®. I used to spend 15-hour days grading papers for 6-8 graduate level writing-intensive courses. Even though I speed read and type over 100 wpm on a bad day, I couldn't get papers graded in a timely manner without losing lots of sleep every week. Then a colleague told me about using macros for grading. This is easy and fast to learn and will cut your grading time in half. There are no pop-up menus cluttering up the screen, nothing to copy/paste when grading, and no extra keystrokes and clicking around with the mouse to get things done. This little program is streamlined and fast and is perfect for online teaching. It's amazing how much stress just disappears when a 60-hour, 7 days-a-week, job suddenly takes about 25 hours, without sacrificing the quality of feedback and interaction with students.